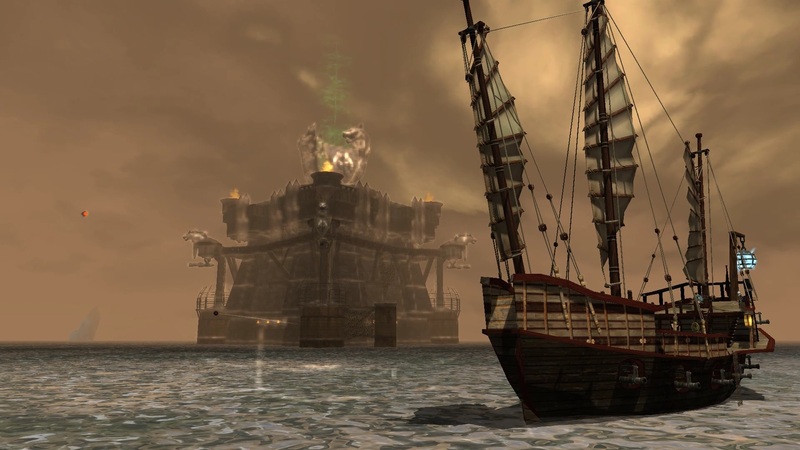 Our first team meeting was held on June 20th of last year, and encompassed members of the Darkfall community that Andrew Ballinger had reached out to in various means. The beginning of the meeting was chaotic, with everyone really at a loss as to why we were all sitting there in the same voice channel (many of us sworn enemies from the days of Darkfall Online). In enters boisterous Andrew, and we all quieted down to hear what he had to say. 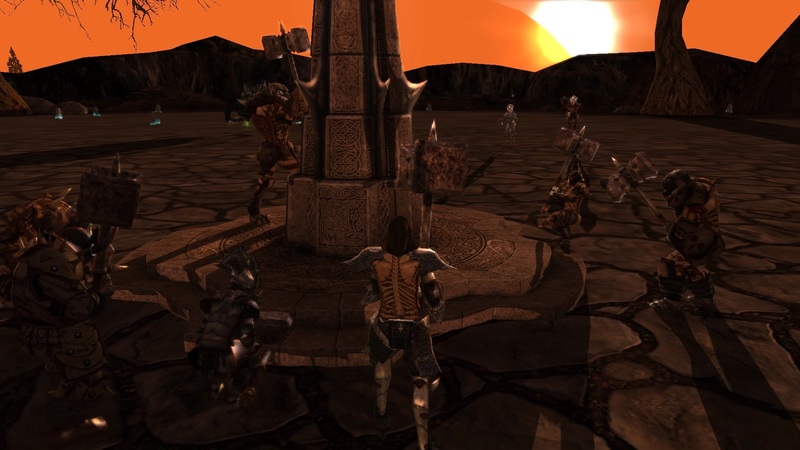 “Who wants to help create the next Darkfall?” he said, and a few us laughed at the time, not realizing how much a reality that statement would become. Flash forward to October 2nd, the date that we officially incorporated Big Picture Games as a company. We had a core group of team members that had already begun working vigorously on many aspects of the project. The marketing team began orchestrating their short and long-term plans, designing the company and project logo, and debated what to call our project (with us finally deciding on “Rise of Agon”). The development team began planning ahead for how they were going to tackle development, and our talented website and forum developers started working vigorously on our initial concepts (and thanks @KeithStone for the Xenforo suggestion for the forums!). All during this time members of the team continued to work behind the scenes with our partners at Aventurine, trying to secure an actual license. There was still a lot of doubt among some members of the team, and over the months while we negotiated for a license we lost members, something we expected seeing as we all were working on a volunteer basis. The months went on, and many members of the team began to have doubts that a license would actually be given to us, and we began wondering if all of this time we had invested would be for naught. Then it happened; Andrew sends a company wide announcement on Slack (the team coordination tool we have been using for many months, after trying a few others that simply did not fit our needs) stating he had an important announcement on our licensing progress. The day was February 29th, 2016 and at that moment we realized as a team that our passion project and dream was turning into a reality – we had acquired a license for the Darkfall Online source code. That brings us to today, with us working around the clock to address the security concerns that have arisen so that we can bring back up our servers and get our community back in game. Throughout this time we have lost team members both due to personal reasons and others due to inactivity or them coming to the realization they cannot invest the time needed for their roles to be successful. It has certainly been a unique challenge to manage such a diverse group of people, with members from 9 different countries, all working on a volunteer basis. Most of us have jobs we work 40+ hours a week on to pay our bills, and then many put in an additional 40 hours into this project after our day job ends. We all have had our bad days, where the effort required for us to be successful seems overwhelming, and each of us has made many sacrifices to ensure we can give you all the game you have longed for for so many years. In regards to managing teams, we have made some changes to our organizational and management structure that we will now discuss below. We have already begun seeing immediate results in how our numerous teams interact with one another, and believe that we have found the “right recipe” to make our company as organized and successful as possible. Although we do not have the luxury to sit next to each other in the same office, our team now operates in such a way that we might as well be. The team continues to evolve and change for the future with new members joining and a few moving on to other challenges and projects. Another member of Big Picture Games since the inception of this project, Brad brings over two decades of game design and development to the team, and is a much respected member of our development and engineering teams. Brad will be responsible for managing our game design and development projects, and has been the lead of our Game Design team for many months. He understands what is required to successfully accomplish the development tasks at hand, and will be ensuring that our development workflow is as fluid and productive as possible so that we can get the most out of our team’s talent and time. His responsibilities include assigning tasks to the game design team and keeping the overarching vision in tact, passing approved game design changes to the appropriate team members, utilizing each member’s strengths, and analyzing and working with the team to make Darkfall: Rise of Agon the best MMORPG out there on the market. All team developers, engineers and game designers will report directly to Brad. Use this link here to access the Rise of Agon community Discord channel for Tuesday’s live Q&A!